A paperback original, Bloom's stand-alone introduction to The Best Poems of the English Language. 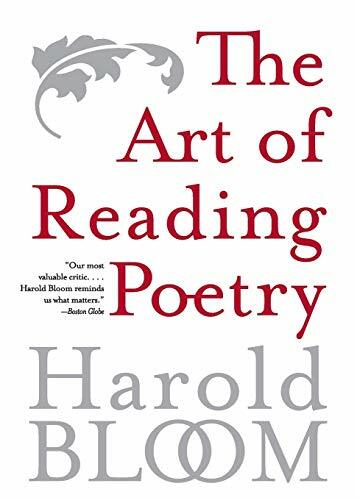 A notable feature of Harold Bloom's poetry anthology The Best Poems English Language is his lengthy introductory essay, here reprinted as a separate book. For the first time Bloom gives his readers an elegant guide to reading poetry--a master critic's distillation of a lifetime of teaching and criticism. He tackles such subjects as poetic voice, the nature of metaphor and allusion, and the nature of poetic value itself. Bloom writes -the work of great poetry is to aid us to become free artists of ourselves.- This essay is an invaluable guide to poetry. This edition will also include a recommended reading list of poems. Harold Bloom is Sterling Professor of Humanities at Yale University and a former Charles Eliot Norton Professor at Harvard.